In a recent post titled, In A Perfect EdTech World, I said I would give every teacher an ubermixed ultrabook. Now people that know me know that I took Le Grand Union High School District teachers from Windows Desktops to MacBook Pros a few years ago and I advocated for MacBooks for every teacher at East Side Union High School District during my brief stint there. At my current district we just handed out MacBooks to our Common Core Site Champions and I’m in the planning stages of replacing fixed virtual desktops with MacBooks for the rest. So what’s up with that? I said in a perfect world I’d give every teacher an ubermixed ultrabook. Unfortunately we don’t live in a perfect world and reality often gets in the way. I actually experimented with providing Ubermix netbooks to teachers at Le Grand a year before we went MacBooks. The results were mixed with most folks using ubermix to remote in to their windows desktops using RDP. Letting go of Microsoft Office and their windows H drive seemed to be the biggest hurdle at the time. The reality with an ubermixed ultrabook is that it’s different. Very different in fact than what most people use every day. It’s even more different than a chromebook, because at least a chromebook’s UI is basically a web browser which almost everyone is familiar with. So even though an ubermix ultrabook is in many ways the ultimate in performance and cost effectiveness, it’s a hard transition. The ubermix UI, while simple to use, isn’t Windows and it isn’t OS X either. Kids pick it up quickly, but change for adults is often much harder. Years of muscle memory takes effort to overcome. I think people are finding that out with Windows 8, but that is another story. In short, ubermix for teachers is a hard sell with a steep learning curve. Then what makes a MacBook and OS X my go to choice for teachers at the moment? Well, Apple makes the best hardware anywhere. Battery life is phenomenal and the other features like backlit keyboard, aluminum uni-body and mag-safe power adapter are wins in my book. There’s also the easy to use factor and the low exposure to malware and virus attacks (I said low, not none). I’m confident that I’ll get a solid four years out of the device. On the user side, I figure that giving a MacBook to a Mac user cuts down my support calls because Mac users tend to be pretty Mac savvy. Giving them a Windows 7 or 8 laptop turns them into a support call. With 42% of my teachers wanting a Mac, the support factor can’t be ignored. In addition, a MacBook can run windows. Either in a virtual box instance or under boot camp. A Mac will run multiple browsers with support for Java, Flash and even silverlight. And yes, it works with all those AppleTVs and iPads that are showing up in classrooms all over district’s everywhere not to mention iBooks Author and Configurator too (yep, teachers can manage their own iPad sets in their classrooms). The hurdles to MacBooks are generally two fold. One is cost and the other is the Windows IT department. My answer to both is simple. Cost wise, when I break down the total cost of ownership which factors in lifetime support costs of the device, a MacBook at $1200 can perform on par with a Windows Laptop at $700 over the life of the device. That’s before looking at the feature comparisons mentioned above. But how is that possible? Well, again it goes to malware, virus and user support. And it also dovetails into the second hurdle which is IT. Contrary to popular best practice, I have no interest or intention of managing (ie. controlling) MacBooks. I hand them out with local admin access, not joined to a domain and give users control of their own computing experience. Any problems, we re-image back to baseline. It’s really that simple. We show users how to run updates, install applications, add printers and connect to network shares and they can take it from there. It’s the consumerization of IT and the empowering of the users (no, I did not watch Tron too many times as a kid, well, ok maybe I did). But as easy to support and low attack profile as OS X is, ubermix is better. Nobody bothers with Linux. And with new Haswell based ultrabooks coming on line, I’m sure there will be some hardware that’s close enough to MacBook Pro performance to be good enough. Unfortunately, I think ubermix has to be a slow burn, not a rip and replace. It takes time to build momentum for that kind of radical change but once people experience the potential of ubermix to provide a universal no-cost, powerful computing experience for kids (and adults too), they finally get it. Today, I see the MacBook running OS X as a versatile, cost efficient, jack of all trades platform for teachers, especially for environments invested in iPads. However, the more I think about it, the more I think there is no one size fits all teacher computer. Some may never need anything more than a Chromebook to take attendance, answer email and enter grades. Some may want all the content creation features and tight integration with iPads that OS X offers and some may even want Windows (although keeping them running while being open is always the challenge). Others may fall in love with ubermix right off the bat. The problem is, how do you determine which platform is right for which user when the user probably doesn’t even know the answer to that question themselves? 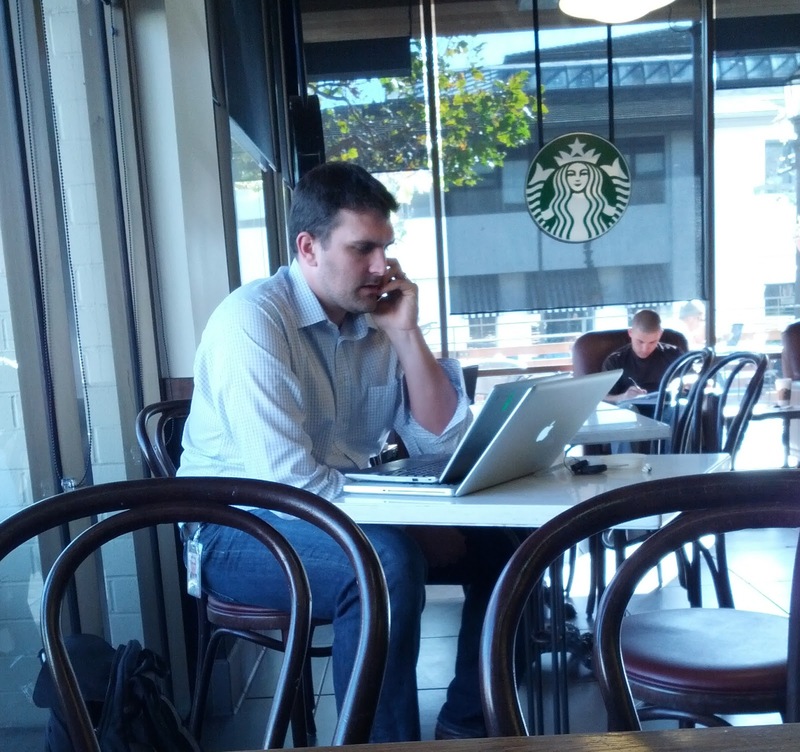 How often do you see using the Macbooks away from their desks? I’ve experimented with staff laptops, be it Windows/Mac/Linux, and find them sitting on the desk 99% of the time, making it hard to justify the cost and maintenance. You’re right about the Macbooks, however. Best hardware you can get, hands down. Just wish they were a bit more user serviceable for when something does break, but Applecare isn’t too horrible of a cost. My objective is to give teachers mobile technology so that they can start collaborating together using modern tools and technology. The first hurdle to making that happen is replacing desktops with laptops. I’m sure a certain percentage of teachers will never remove the device from their classroom. So be it. No reason to hinder the empowerment of the rest. I like the concept, however, I think it’s still the apps and not just the UI (although that is a big part of it too). So step 1 in transitioning to an ubermixed world is replacing Windows only apps with cross platform alternatives like Open Office and Google Apps and getting ubermixed devices in the classrooms. One of the main selling points with ubermix for me is the sub 5 minute self restore capabilities. It can cut support to near zero. Like a chromebook but with actual apps that can run without an internet connection. For me the quick restore feature is the main selling point of Ubermix, definitely. Not for the support load, but for the “removing fear of experimentation” and how it leads to more authentic learning. For my school, we made the decision of switching to the standard Ubuntu interface, Unity, for this school year, on top of Ubermix to keep the quick restore and remote update features. But after seeing several people’s reactions to Xubuntu/XFCE, which we didn’t consider at the time, I’m wondering if we made the right choice. We are planning to make a big push to LibreOffice as an alternative to Google Apps, instead of Microsoft Office. We are making it available for everyone alongside Microsoft Office already. I thought this blog real interesting, especially about the encouragement of Macs for the teachers. I am always interested in the Mac vs PC mentality of IT professionals, it seems like we tend to favor one OS to the other. I service several small school districts with multi-platforms, everything except Linux. Personally, I like servicing pcs with so much control in Group Policy and AD. I just migrated two mac mobile labs from OS 10.4 to 10.6. What a chore!! The concept of giving teachers a mac book and a few lessons then them loose without management sounds tempting, but when their hdd goes, it is so nice to throw in another drive or device, add the imap email and point their docs to the server and you are done, oh yes, the printer… I seemed to be forgetting the printers lately. This has given me some ideas to think about when managing my sites, Thank You!